materials based on synthetic resins (modern materials) – effective only in external household applications; they are not suitable for application on big water tanks as their waterproofing capacity deteriorates when exposed to long-term impact of water. materials based on mineral polymers – known also as waterproofing slurries – these materials are free of the flaws ascribed to materials based on synthetic resins. 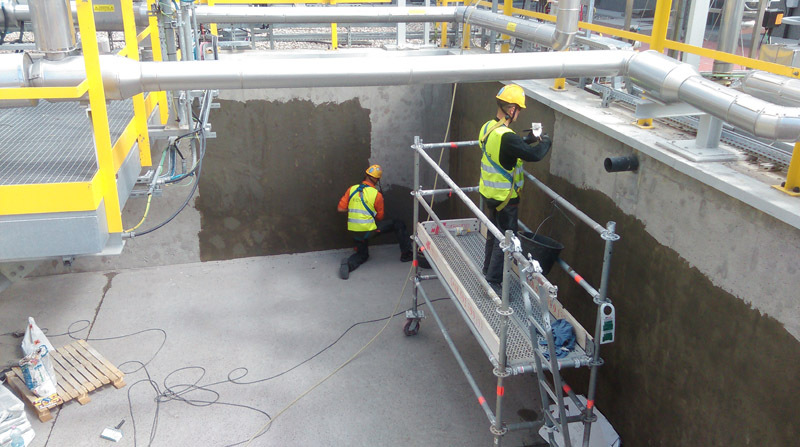 Two-component mineral waterproofing materials are utilised as waterproofing protection of masonry walls, wall bases, pools and water basins, terraces, balconie, roofs, as well as bathrooms and laundry rooms – also the commercial ones, which are in continuous and extensive operation exploitation. multi-component materials based on reactive resins (the most advanced binding agents) – these can be based on polyurethane and epoxy resins. They are characteristic of very good ability to penetrate into substrate, and in connection with that of high adhesion. Therefore they can produce the effect of full protection against water. COVER uses technologically advanced and attested construction chemicals. 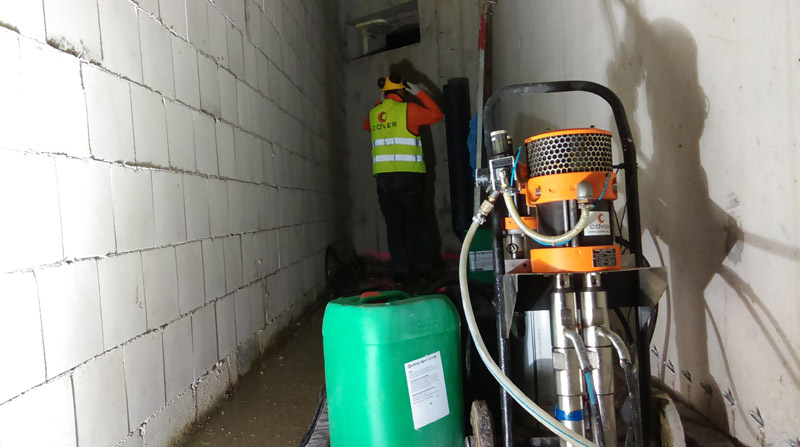 Our specialists analyse a problem, they recommend a specific repair method and a binding agent, which facilitates adequate and effective waterproofing solution.